Thar be notorious pirates afoot here at Pirate Invasion Long Beach. Wanted they be! If ye see one of these sea dogs they are wanted by the Crown. Here ‘s how ye play- Find the Info booth and see who is wanted by the crown or use the website here. Then head out as newly appointed Pirate Hunter and find the culprits. Take his or her photo and upload it to your Instagram. It’s that easy. At the end of the day, we will randomly pick a winner for the prizes. The more pirates ye find the better the chance to win. You will be notified via Instagram if you are a winner. It’s fun and it’s free. Also, remember you can keep this page open on your phone for the pirate ye seek. 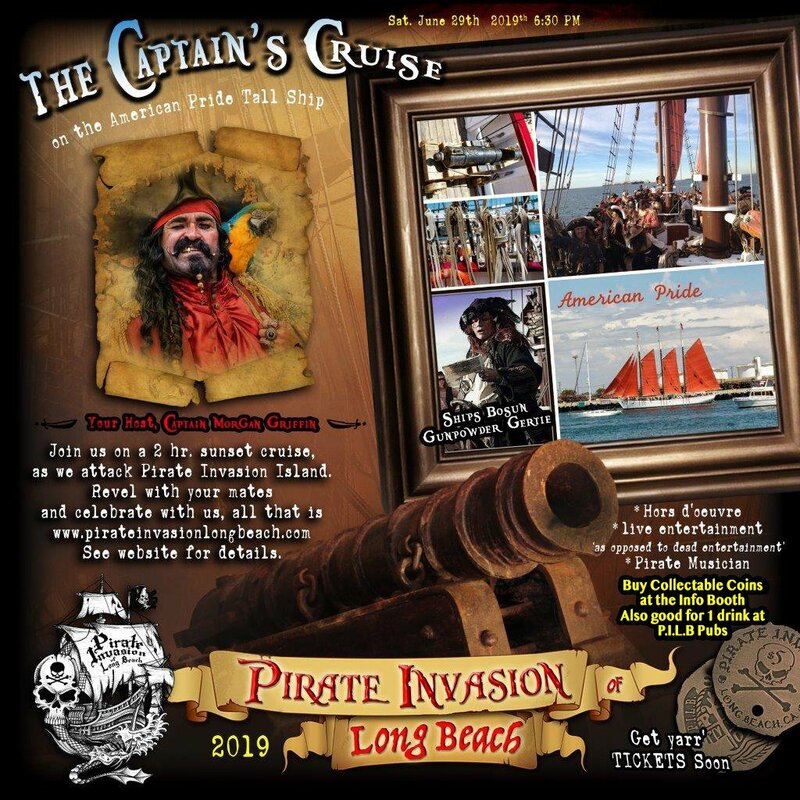 Saturday, June 29th Win two tickets to the Captain’s Cruise Saturday night June 29th ! 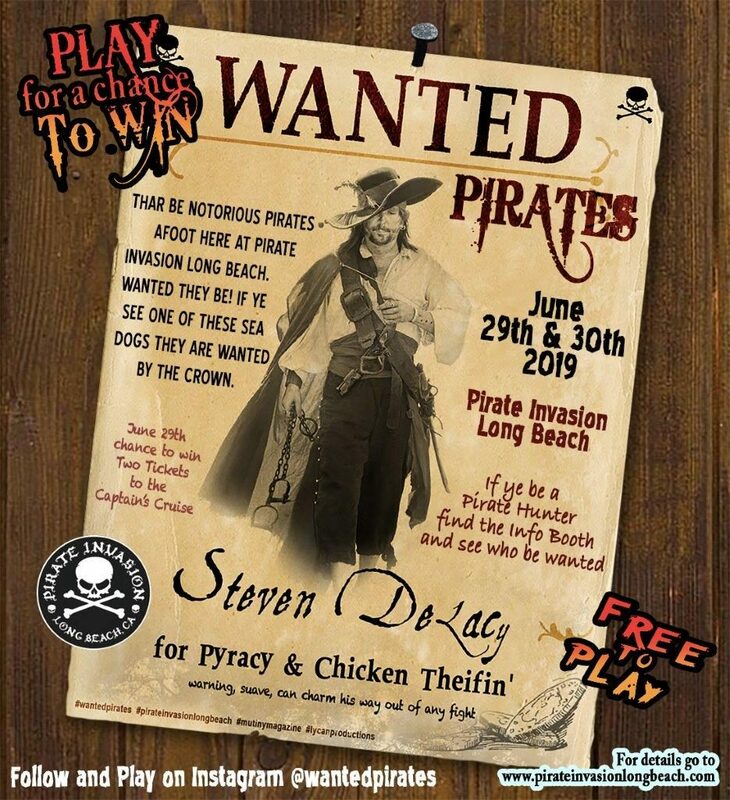 the game is to be played both days at Pirate invasion. A 200.00 dollar value!